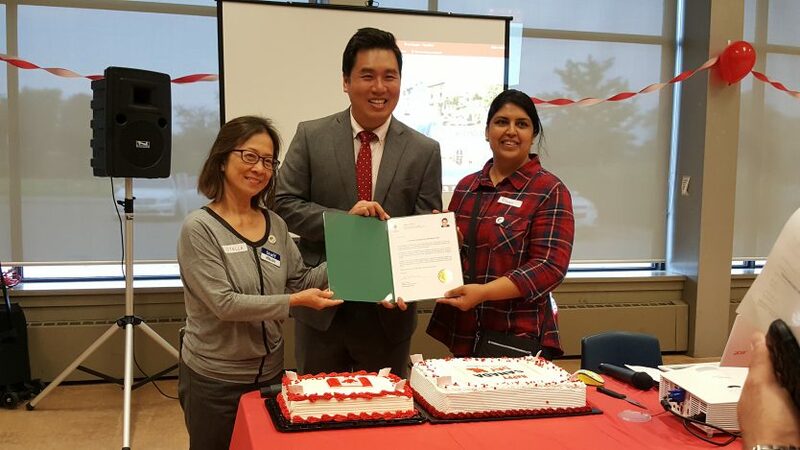 Since 2011, Community Connections Mentorship Program has been offering citizenship education in partnership with the Toronto Public Library in five branches across the city. Citizenship Mentoring Circle is a 10-session mentoring program for the newcomers to learn more about Canada. The curriculum covers eight topics. All 10 sessions are facilitated by a CultureLink staff and a team of trained Citizenship Education mentors. Every participant is matched with one mentor to ensure learning exposure. Mentors review and discuss the “Discover Canada” study guide in easy English in a small group setting, and guide participants to discover and appreciate Canada. During the weekly 2-hour circle time, newcomers can improve their vocabulary and boost the confidence in speaking English by participating in vivid conversations on various topics. Citizenship Education Mentorship not only assists newcomers with their learning of the Canadian history, geography, government, citizenship rights and responsibilities, but also is an opportunity for them to connect with local volunteers, network and share experience and stories. For volunteer mentors, this is a great way to give back. Spending a couple of hours a week to enrich the lives of these new Canadians and promote our key Canadian values: diversity, social conscience and democracy, is very rewarding. Click here to fill out the application form. Please call 416-588-6288, ext. 210 if you encounter any problems with the form. What the participants have to say about the circle:Upon successful completion of one 10-session circle, the Citizenship Mentoring Program will provide committed participants a certificate and a free trip with guided tour in one of the heritage sites or sites of national and political importance.